Airtel unlimited free browsing comes once in a blue moon and like an October independence gift, another blue moon is here for free browsing seekers. Just as we enjoyed Airtel 20gb for N200 unlimited browsing with Psiphon Handler while it lasted, today, you will learn how to setup Airtel unlimited free browsing using Psiphon handler VPN with Airtel Opera mini plan. We have made a review of the Airtel Bundle for Opera mini, launched sometimes last year and you may want to check it out. With this plan, you could normally enjoy your favorite services on your smartphones and it powers “most” applications on your phone. 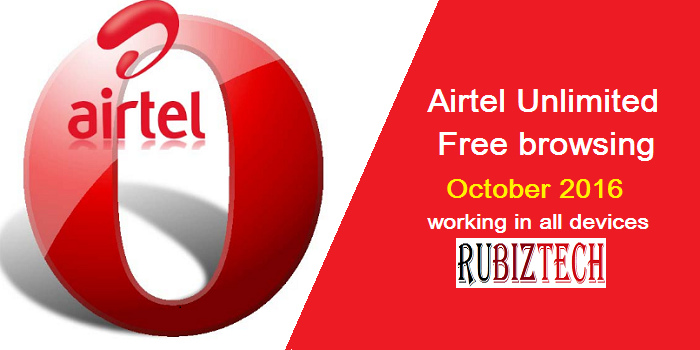 Now, a loophole has been discovered From the Airtel Opera mini Weekly Trial Plan. With the help of Psiphon handler, we are going to get Airtel unlimited free browsing for the month of October 2016. It can be used to power all Applications for free, this mean with just N100 you can download unlimited with your Airtel for a whole week. Make sure u have 100 naira and dial *885*3# Then you will receive a message as shown above. Thereafter, go to OPTIONS and select UNITED STATE as server. You can as well choose any server that suites you. Now click on MORE OPTIONS and untick CONNECT THROUGH HTTP PROXY. Finally, return back to the app homepage and CONNECT. Congrats! You can now start blazing hot on all your apps with Airtel unlimited free browsing using Psiphon handler VPN with Airtel Opera mini plan. If you want to share/tether your Airtel unlimited free browsing using Psiphon handler VPN with Airtel Opera mini from mobile devices to PC or any other devices, there are several options to choose from. By default, there is a restriction for mobile tethering when using VPNs on android 4.1.2 to latest. We have listed 4 unique ways to to share/tether Airtel unlimited free browsing using Psiphon handler VPN with Airtel Opera mini. Updated October 4th: No longer working. Didn’t work with my psiphon 88 handler, or they stopped it? Unfortunately yes. Will update us immediately it returns.